Paid software’s are pricey, you can’t afford them for personal use. For every paid software there is a cheaper, free and open source alternative is available in software market. Here we chosen the best paid and free alternatives of popular software’s. MS Office is a best industry standard office suite provider from years. MS Office provides integrated applications for word processing, Excel sheets,spreadsheets, presentations, database management, email and desktop publishing. LibreOffice is an open-source personal productivity suite which gives you six feature rich applications for all your document production and data processing , writer, calc, impress, draw, math, and base. LibreOffice opens with a option that let us choose which application we wanted to use: Base, Calc, Draw, Impress, Math, and Writer. Application’s interface will look very familiar to you if you’ve used MS Office products. LibreOffice also comes configured with a PDF file creator, meaning you can distribute documents that you’re sure can be opened and read by users of almost any computing device or operating system. Internet Download Manager is a very popular download management tool available for Windows users. It is a top notch product to download any kind of file from internet very easily. It automatically arranges the downloaded files using different categories. EagleGet is a free best alternative of IDM with similar features. The application sports a simple and nice UI. You can download any type of file you want, because it automatically recognize the specific file types like Documents, media, software, compressed. It has bulit in video sniffer which allows the app to automatically detect and save streaming videos for offline viewing. EagleGet displays notification in the system tray to download a task easily. The best part of the software is it offers all the features provided by paid softwares for free. EagleGet works on Windows XP, Vista, 7 and 8 along with all popular browsers. Most of us feel that only paid Antivirus works great against viruses and malwares, totally it is a misconception. The only main difference from paid and free is extra features, rest of the process and maintenance is same. Extra features include virtual Keyboard, password manager, online backup and C Cleanup tools etc. 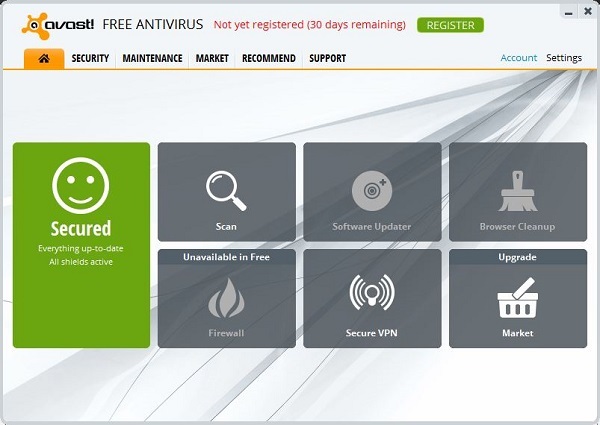 Free best alternatives of Antivirus solution are Avast and AVG. They provide basic protection to stop virus and malware attacks on your computer. 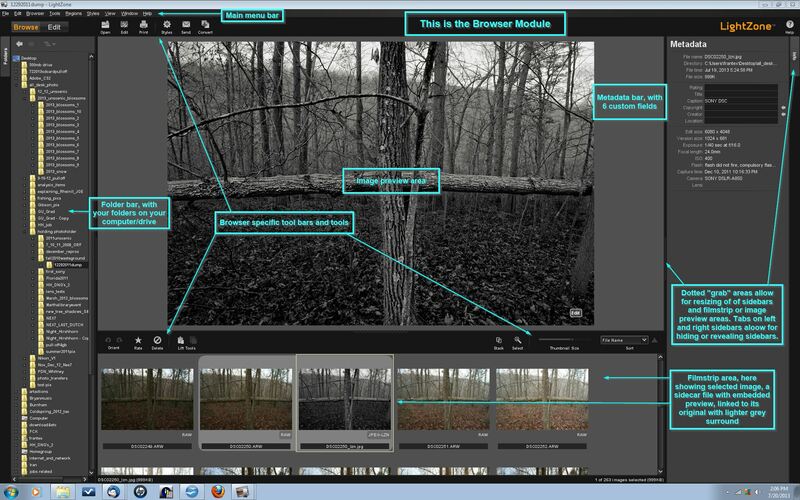 Adobe Lightroom is a fantastic photo management tool, it will costs $149. You can enjoy similar feature in LightZone, it is a free best alternative of Adobe Lightroom. The program is very easy to use and quickly edit the batch of images with great styles and effects. The best features of LightZone is its image zone, it can divides an image into 16 zones. Using Zones you can easily manipulate the brightness and contrast. Overall its is a great tool to batch image manipulation at free of cost. Postbox is a powerful desktop email client for Windows and Mac. It handles all your email and RSS subscriptions in a simple intuitive interface. It has built in features like customizable favourite bar, unified folders and Account Groups, Summarized Replies, Quick Reply and social connect. Mozilla Thunderbird is free open source email , newsgroup, news feed and chat client for windows.Mozilla Thunderbird makes e-mailing safer, faster, and easier with such features as intelligent spam filters, a built-in RSS reader, and quick search. Inky is a simple email client for Windows, no need to configure email setting manually, the app detects and automatically configures them based on your email address. Inky can work with any POP or IMAP account. First you need to create account in Inky to use. You can easily arrange emails based on contacts, newsletters, social sites. 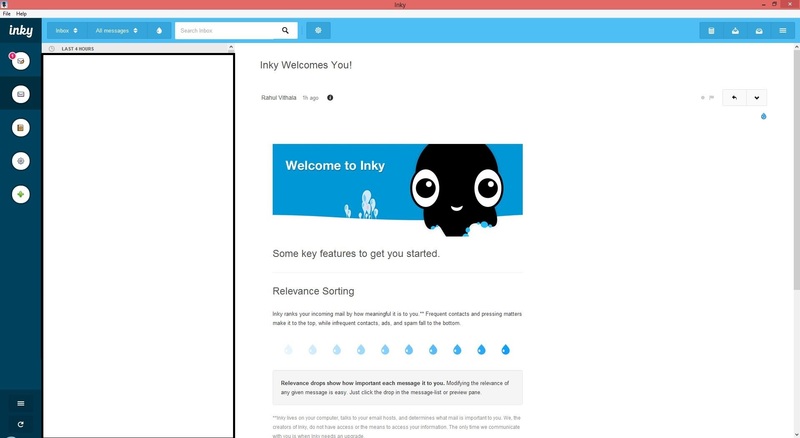 Inky works as a cloud based Email client.